Sounds from any severe weather event, be it a hurricane, tropical storm, tornado, mirco-burst or torrential downpour, have a tendency to create a certain amount of anxiety in children, pets and even some grown adults. Although we are visual creatures by nature, it is the sound that accompanies our visual input that solidifies events in our minds. The relationship of lightning and thunder are a great example. If there was no thunder, lightning would just be a pretty flash of light in the sky. No one knows this better than Hollywood. As a test, find the scariest movie that you have ever seen and watch it with the sound turned off. You will find that even the most horrifying scenes have become quite subtle. As even more proof, take a look at your pets as they sleep right through it. Conversely, as you increase the sound during that same movie, the effects of the louder sounds intensify the angst created within the audience. Louder sounds also stir your pets and even if they might not show interest, you will see their ears moving as sound levels increase. As soon as you make a move, they will snap to their feet in anticipation. They can sense the additional tension in the room. Sound: The point here is that sound stimuli have effects on everyone during a weather event and the more you can do to reduce each stimulus the calmer everyone will be able to remain. Wind gusts buffeting against deployed shutters, high winds whistling between lapped panels, the clang of hailstones and pelting raindrops all create noises that can amplify the perception of a severe weather event. If you’ve never been through a tropical storm or hurricane, describing the noises to you is impossible. The effect that it has on children and pets is heart-wrenching and there is a certain helplessness that adults feel when their efforts to ease the anxiety and fear are futile. The encounter: I came to Florida in 1976 and I can remember my 1st tropical storm. The winds and torrential rains scared my cat so bad that she hid for 3 days. Our special needs boy of 6 was just plain scared. There were just 3 of us in the house and we had to holler to each other just to converse. Neither my wife nor I were from Florida so we had no idea what to expect and we learned a lot about storm noise from our first tropical storm encounter. Increased noises: Take for example hailstones or even large raindrops…..when they hit a metal panel the sound is increased. When they hit glass, the sound is somewhat less. There are also cracks and joints in, or around, most types of shutters. Corrugated metal and plastic panels have overlapping joints. Unless these laps are sealed tight in some manner when the wind blows through these overlaps they can whistle. It’s like holding 2 pieces of paper together and blowing at the edges. When you blow just right they can make a pretty annoying sound. Metal roll-downs and accordions have small cracks that are formed at the joints to form hinges. The small slits that result can whistle during high winds or emit an eerie sound effect, as well. Screen type hurricane systems also cause whistling. Bahama shutters have fixed louvers with gaps and colonial shutters have fixed gaps between themselves and the wall that aren’t (or can’t be) filled or covered and they can also create a howling sound. Fabrics and straps make a flapping sound. Have you ever heard a tractor trailer on the interstate that has straps making that “buzzing” sound as it goes by? The same thing can occur when high winds blow between the fabric and the overlap of the wall. Installing Evolution Hurricane Shutters over your window does 2 things to improve the sounds during a tropical storm experience. First, it lowers the amount of sound that comes through your windows. The air that is trapped between the shutter and your window becomes insulation that will deaden any outdoor noises including those of a storm. Second, because the crystal clear panels are made from space age polycarbonate they don’t create additional noise or amplify storm noises. Polycarbonate is less dense than glass or metal and is, therefore, a better insulator and doesn’t transmit sound as well. So no matter what hits them on the outside, the noise transmitted to the inside is noticeably decreased, not amplified. Although they aren’t airtight their patented design doesn’t have and any slits, cracks, laps or gaps for wind blow through and create noise. A properly installed Evolution shutter has a weather-strip cushion on the back and sometimes additional caulking to prevent winds from getting behind it enough to create noises. The results are calmer people and pets and because they are clear as glass, there’s no guesswork involved about what is happening outside and there’s no groping around in the dark during the day when the power goes out. 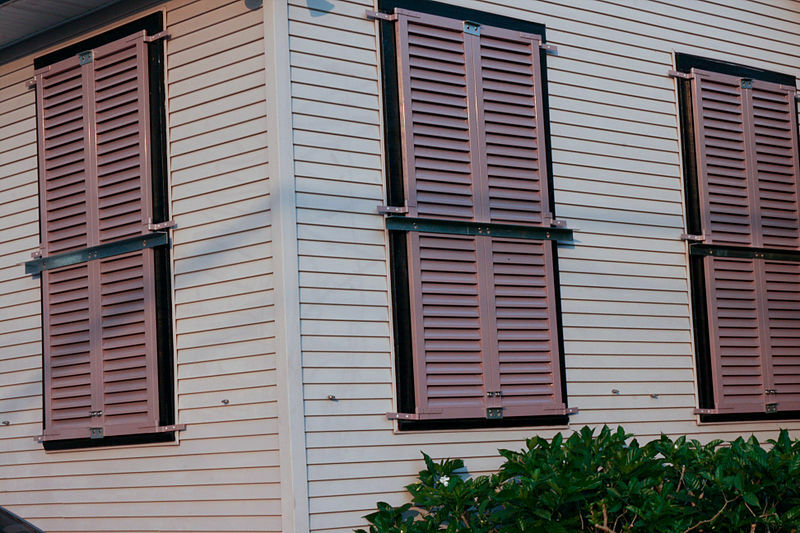 Used Hurricane Protection – don’t sell those old shutters yet! Don’t get rid of your old hurricane shutters just because you purchased new “hurricane proof impact windows”. What your window salesman may have forgotten to tell you before you signed your contract is that your new windows are neither “hurricane proof” nor “impact proof”. In the window industry, “hurricane impact” is just a marketing phrase and shouldn’t be confused with the word “unbreakable” – they are 2 completely different animals. There’s an old adage that goes “if it’s made from glass, it’s gonna’ break.” and it’s as true today as it was when it was first coined. Go to any video site like Youtube or Vimeo and search for “hurricane impact test” and see what happens to a new impact window when it gets struck. 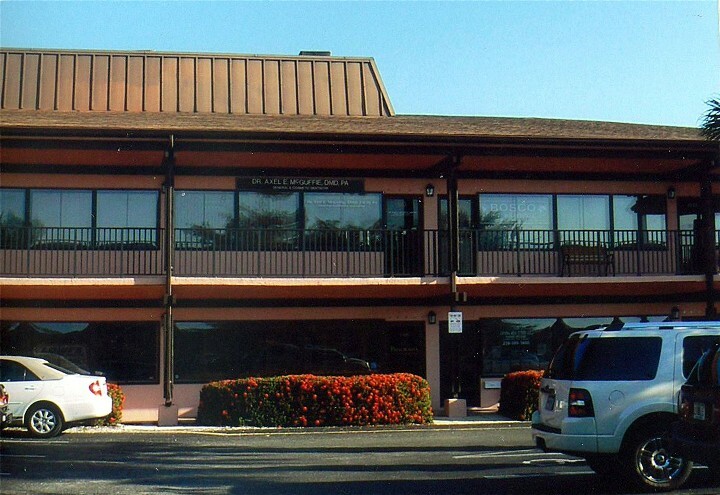 Your new windows may not let the hurricane winds into your building after they are struck by debris, but they most certainly will be broken and will need replacing. If you aren’t concerned about the price because you have insurance that will cover the cost, please call your insurance agent or check your policy. Many times your deductible is larger than the cost of a new impact window. There are many cases where the replacement cost of a new standard impact window including installation is $1900.00. If you have a $2000.00 deductible on your policy, that means that your window replacement is “out of pocket” and is also your responsibility – not your insurance company’s. Every week I see dozens of online ads for used hurricane shutters for sale by their owners. I hope that these are for sale because the owners have upgraded to another type of shutter and not because they have purchased impact windows. If your window damage has occurred during a storm, the odds of getting your broken window replaced in a timely manner are not in your favor – don’t forget that everybody else will be getting theirs replaced, too. The waiting list will be long and the rush of orders to get replacement windows will have manufacturers, dealers and installers backlogged for weeks. Just remember this……..when (or if) you ditch your hurricane shutters, you are throwing away the only thing standing between you and a very expensive broken window replacement. Categories Applications, Architects, Builders & designers, Churches, Commercial Property, Home builders / remodelers, The stuff.. The accepted school of thought on how to protect your home and property from strong storms is to make your home into as much of a fortress as possible. Sometimes in our zeal to accomplish this goal, we don’t realize some of the negative aspects of what our storm protection provides. The reason for this? You and I and 95% of the rest of us rarely have the inkling to think like a criminal. When you leave your Gulf Coast winter home during hurricane season, have you even considered that your hurricane protection is like a neon sign telling everyone that your home is vacant? Criminals are targeting vacant seasonal dwellings for larcenies because they know they are not going to encounter any resistance once they make entry. Gaining access via one obscure window pr door gives them free reign to roam the interior of the residence while the rest of the hurricane protection makes them nearly undetected by neighbors and passers-by – even law enforcement. This gives thieves time to pick and choose the items that they want to steal making even well hidden items easy prey. If they want, they can even replace your hurricane shutters and hide the break-in from everyone until your next visit. Depending upon your location, the thieves may even opt to make your home their “hangout” and become “squatters” while you are away. How horrible would it be to arrive at your vacation or seasonal retreat only to find your home filthy, the furniture destroyed, everything of value; GONE and your walls, ceilings and floors spray painted with vulgar words and pictures? The obvious solution is protection that doesn’t advertise the fact that no one is home. The more your protection blends in, the less likely that criminals will pick your home or business as a desirable target. Two major factors that criminals focus on before picking their target homes – 1.) can they get in and out unnoticed and 2.) how long can they stay inside without being noticed? Don’t unwittingly give the criminal element of society the help that they want. Protect your home – sure – but don’t make it a playground for opportunistic, illegal criminals and drug users who are just looking for a place to exploit. Remember, they don’t feel the same way about your home as you do. They haven’t sacrificed and paid thousands of dollars to make your house a HOME. They only want to USE what you have worked hard to achieve and take whatever they can, as easily and quickly as they can. If they happen to put a hole in the wall of break a pick of furniture, they could care less. Clear protection is your best option for seasonal absentee homeowners. Installing Evolution Hurricane Shutters for protection on your home will accomplish two things; it will NOT advertise the fact that your home is vacant. AND with the addition of timers on lights and other appliances, you can even give the appearance that someone is home, even at night because our shutters are crystal clear. Even if thieves manage to get into your home, they’re daylight activities are limited because of the unobstructed view into your home from outside. If you have night time, drive-by security patrols in your neighborhood, a spotlight will easily allow law enforcement or security to easily see inside your home for any unauthorized activity. Don’t play into the hands of criminals that want to exploit your hard word and terrorize your family and neighborhood. Call your local hurricane protection specialist and find out if Evolution Hurricane Shutters should be part of your storm and security protection plan. In addition to having to be deployed, most colonial shutters require this “attractive” center reinforcing bar that goes on from the outside. Here’s the ever-popular OSB version of hurricane protection. Judging from the height of the 3rd story, I’m guessing that if you had to hire out the installation, it wouldn’t be cheap. Now the question is….do you take it down?….store it away for next season (or storm) ….. or just leave it up? I’m pretty sure that taking it down is more than a 1 man, 1 ladder operation. Steel corrugated panel and channel type shutters can be seen a mile away. 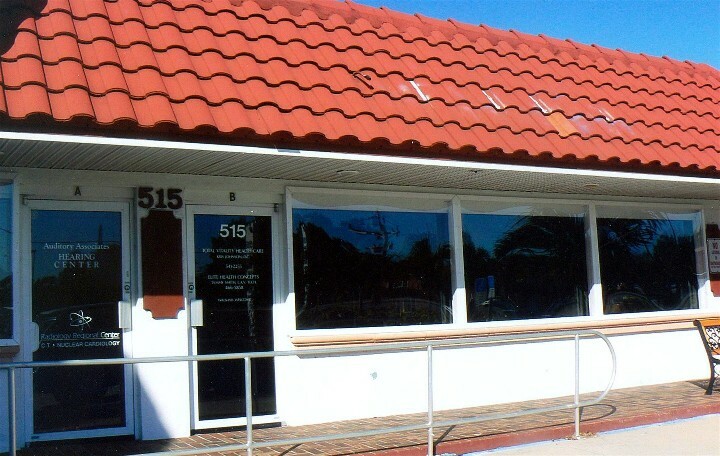 My introduction to polycarbonate began in 1981 when I started working for a plastics fabricator/thermoformer in Tampa, Fl. I had just finished working at a glass tempering plant as a custom & production glass cutter. I was 26 years old and in my physical prime – 6’1″, 230 lbs., played softball 3 times a week and was quite fit from carrying large sheets of heavy gauge glass in different phases of the glass tempering process. I was hired at the plastics company as a “production laborer” which basically meant that I was given tasks of a simple, repetitive nature that required little skill or knowledge. My first day on the job was mostly one of orientation. I was given a quick tour and all of the equipment was briefly described to me as to how it operates and it’s function. I was then taken into the warehouse and shown a 55 gallon drum sitting on a furniture dolly. The fabrication manager (who hired me) came out of the employee entrance of the office and directed me to a huge rack of probably 300 pieces of plastic that ranged in size from 12″ x 18″ wide to 36″ x 96″ long. He pulled out a piece approximately 24″ x 24″ and laid it across the opening of the barrel. He informed me that all of the material in the rack was going to be scrapped and therefore it needed to be broken up and put into the barrel to be hauled off. He told me to let the shop foreman know when the barrel was full. He gave me a 2lb. mini-sledge hammer, a pair of safety glasses, turned on his heel and walked back into the office. My knowledge of both annealed glass and tempered glass from my previous job told me that the huge hammer should have little problem cracking the plastic. The force of my swings steadily increased when the first couple of whacks didn’t yield success and I was sure that something should be breaking soon. But after about the 5th swing of the sledge, the plastic scrap went flying about 8 feet into the air and the hammer recoiled back over my head where it had started. It was pretty clear to me that something was amiss and the incredible banging noise that I made with the hammer had drawn a crowd from the fabrication department on the other side of the wall. When I saw the huge grins and heard the muffled chuckles, I knew that I was “had”! The fabrication manager emerged from the same door that he had before, beaming with delight that he had gotten the best of me as about 20 of my brand new co-workers broke into hysterical laughter. If you haven’t figured it out by now, the plastic was polycarbonate and to this day, I will never forget my introduction to polycarbonate. I learned early on just how indestructible polycarbonate is. I would love to say that this was the only practical joke that was ever played on me, but I can’t so I suppose I have a few more stories to tell. I learned a lot about many different plastics over the next 20 years and ended up working for 5 plastic companies as well as starting my own fabrication business making acrylic artwork and sculpture display boxes and covers. They were used in hotels, corporate offices, museums and homes. I also made everything from acrylic handbags for pricey boutiques and roadsigns for industrial parks, to acrylic windshields for fishing boats and clear underwater camera cases. I became knowledgeable not only about the different types and families of plastics but also about fabrication, thermoforming, extruding, molding, casting and machining plastics. I even worked my way up to the positions of branch manager (whoopee). Although I haven’t worked for a plastics company for quite a few years now, I still make plastic items for my personal use at home. I also stay in contact with many of the people that I met in the “plastic years” of the past and I suppose you could say that I have plastic in my blood. From my point of view, when it comes to hurricane protection, the proof has always been “in the pudding” and that is the basis of our product, our live demonstrations and our business. We test what we install and we stand behind it 100%. Anyone who has seen our live demonstrations (from Ocean City, Md to Naples, Fl.) knows how much we trust our product. Yes, I am certainly going to tout the benefits of Evolution Hurricane Shutters, but I will also tell you the positives of some of the others, as well and I hope that others will chime in with additional information. As I have stated before, I’m no expert. I know that the hurricane protection that we manufacture at Evolution Hurricane Shutters is not for everyone, not for every business or church and not for every application. I freely admit that and I will tell a prospective customer the same if our product isn’t going to be the best “fit” for them. Sure, if they demand it from me, I’ll sell it, but that’s not what being in business is all about for me. I’m not in favor of promoting the idea that a $3000 used park model mobile home should have $4000 of hurricane protection. But if he/she has been told by their insurance company that the structure is non-insurable and therefore feels that our product is the only one that protects their property, then I’m on board. Besides, the replacement cost of a small park model starts at about $22, 000.00. There is a corrupted saying in the marketplace that says “The customer is always right.” but the original real version says, “The customer is king.” The kings may not always be right but, nonetheless, they are still kings. How else are people going to protect their property? When the insurance company says that your home isn’t worth the risk for them to insure, the you need to take matters imnto your own hands. Anchor it down so it doesn’t blow away and do what you can to keep the windows from blowing out. The internet is a great place to find out who has bad reports, complaints, dissatisfied customers and lawsuits. When I review a business or a product, I don’t give too much credence to a customer complaint here and there. However, when there are so many complaints against a company and so much missing money that the courts get involved, it probably bears a closer look. With that being said let’s move on. In my way off thinking, if you do anything in your business, you’re gonna’ make a mistake somewhere along the line. If a business owner were to tell me that he/she have NO complaints from customers, then they don’t have much of a business. If you don’t get complaints, you aren’t doing anything. I’ve worked for enough companies in my life to know that there are some people out there who are NEVER satisfied with anything. They think that everything they amass in their life should be free and unconditionally guaranteed for life. They also believe that restaurants are in business to give them free meals and auto repair shops should fix their cars at no charge. In some cases, it also seems that every problem that they experience in life is the fault of someone else. These people are out there and you probably either know at least one of them or maybe are even related to one (isn’t it horrible that we can’t pick our relatives?). Just remember that insurance companies are out to maximize premiums and minimize losses. That’s their game and everyday they make the rules in Washington, D.C. to benefit themselves at the expense of the public. That’s about all i need to say on that topic………..
Porous type protections have open areas around their edges or on their surface that equal more than 5% to 10% of the area covered by the shutter. This allows air and/or water to pass through or around them. Some have as much as 50% open area (like some screens or mesh). They provide only impact protection and rely on the door or window they are protecting to resist the water penetration and air infiltration from both negative pressures (those directed away from the house) and positive pressures (those directed towards the house). So, porous systems block wind-borne debris and are usually built out far enough so that they will not deflect into the glass when impacted by the standard 9-pound 2×4 lumber missile traveling at 34 mph. However, they don’t always do the best job of reducing wind pressures or water leaks. The result is that the windows and doors behind them sometimes experience the full effect of the wind pressures and may leak about as much as an unprotected window or door. Non-porous hurricane protection systems should be water and air tight or very close to it. In many cases, even protection labelled as “non-porous” will still allow outside pressures to affect the window or door behind it. This is due to the fact even though the non-porous protection has less than 10% open area, it’s still more than 0% (0% being considered water resistant) If the windows behind them are not strong enough they can still be blown in, which allows wind pressures and driven rain to enter the structure. You have a corrugated metal or plastic panel-and-channel system over your 48″ tall x 96″ wide living room picture window. To deploy the system, the panels are tipped towards the wall, slid up into the upper channel and then are pushed back against the wall at the bottom (or window sill), and then either dropped down into the floor of the bottom channel or bolted to an angle below the window sill. This leaves a gap at the top and bottom where the corrugations come away from the building. These gaps at the top and bottom allow wind and rain to get in behind the shutter and attack the window. There are also gaps at the vertical edges of both end panels where they meet the outside wall of your living room. When the wind blows, some of the pressures and rain are allowed attack your windows. If you were to open the inside window during the storm, you would definitely feel wind blowing on you. This is technically known as air infiltration. Any rain or water that gets past the shutters is called water penetration and you will most likely feel this, too. This is considered a porous system – it allows air pressure and wind driven rain to get at the protected window. If you have newer wind rated windows, this system will be fine for you. It will keep direct hurricane force winds and large missile wind borne debris away from your windows. You have purchased and cut a flat cellular polycarbonate twin-wall sheet to the over-sized dimensions, per the instructions, to fit over the same picture window. You have the proper support bars in place to prevent deflection during impact and your anchor holes are all lined up and you’re ready to deploy the sheet. You affix some standard foam weatherstrip (with adhesive backing) to the backside perimeter of the sheet in the oversize area. You hold the sheet into the proper position and drill and insert the anchoring hardware and tighten per instructions. In this case, when the wind blows, there is no attack of the protected window. Theoretically, if the weatherstripping is working properly, you can open the inside window during the storm and light a candle and it won’t blow out. The weatherstrip should keep the wind and water from getting in. This is a non-porous system. If you have older, single or double strength aluminum or pvc framed windows from the ’60s, ’70’s or ’80’s, this might be a good system for you. And it lets light in so it won’t make you feel like you’re in a dungeon and will save you a bunch of battery power and candles when the power goes out. It isn’t going to be cheap, but it will be lightweight and easier to deploy come storm season. If you have large windows to cover, you could even invest in hurricane rated mullions (support bars) that are the same color as your window trim and leave them in place permanently. That will decrease your deployment time and as long as they are strategically located, won’t obstruct your view too badly and won’t be too noticeable when you look outside. Finally, in some cases the porosity of the system is determined by the installation itself. The farther away from the face of the structure the system is mounted, the larger the gap for wind and rain to enter. Make sure that you have it in writing as to which system is being installed on your building. 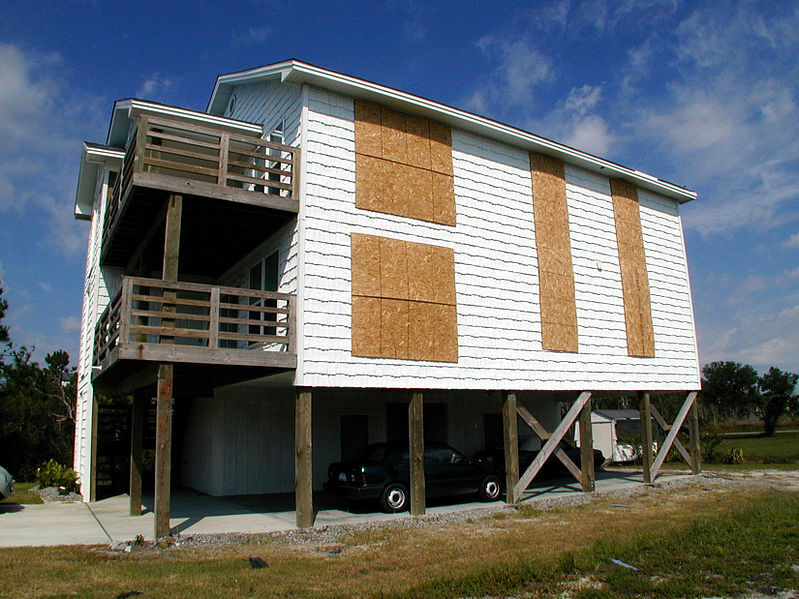 Hurricane impact windows are non-porous hurricane protection, as well. 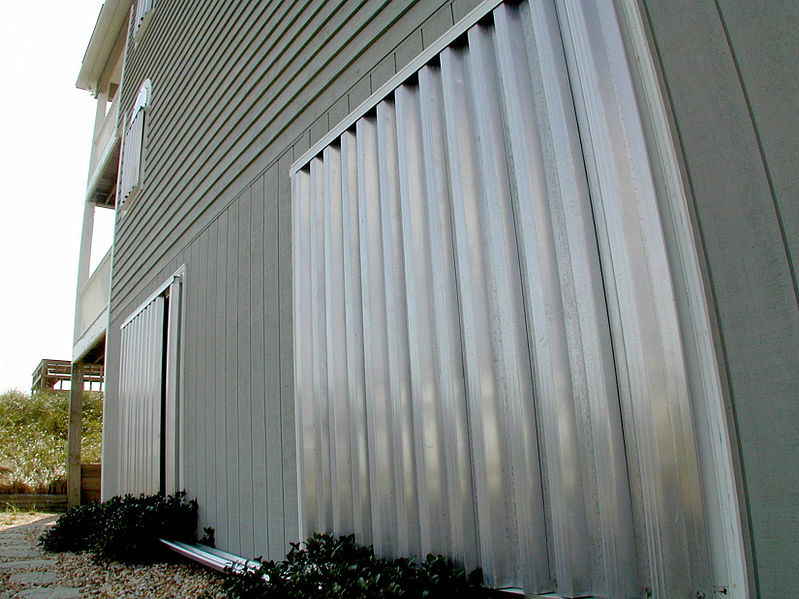 Evolution Hurricane Shutters can be installed as either porous or non-porous protection. We recommend the non-porous method because it provides the opening with the greatest protection and the greatest energy conservation and sound insulation. The lesson here? Although non-porous protection is superior to porous protection, you may only need to have non-porous to satisfy your insurance carrier or local building code. Take a common sense approach to your hurricane protection needs. Is seasonal storm protection all that you want? Worried about vandalism? Does your yard serve as the local ball field for the rest of the neighborhood? Do you want energy savings, too? Will you always be around to deploy the protection? What conditions does your insurance company dictate? If you are only a seasonal resident, you may be required to have an “installation contract” in place with a local company to prove to your insurer that your hurricane protection will be in place in time to protect your structure from the storm. Just a reminder – read the news and realize that the insurance companies are getting tighter and tighter about what they are going to pay out. They are ticked off that hurricane protection costs them revenue but glad about reducing their risk. They don’t want to pay out any more money than they have to and their inspectors will start nit-picking your protection at the rime of the policy start and they will also be more adamant about post storm investigations to lower their settlement figure. Taking short-cuts or getting lazy about putting protection in place by the homeowner will only draw the ire of the underwriter and get you a step closer to a fraud charge.